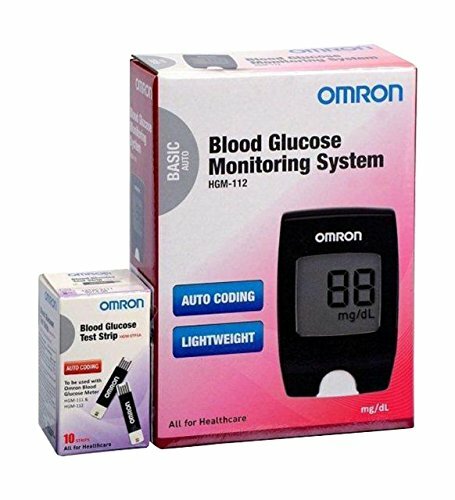 FEATURES: It is an upgraded form of OMRON BLOOD GLUCOSE MONITOR-SHGM-111G-AP, the most trusted glucometer unit certified by authorities. 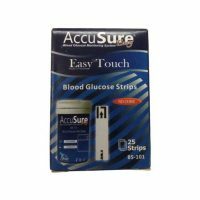 The product is used to check diabetes and anomalies in blood-sugar levels. The gadget resembles like a mobile phone with LCD screen calibrating glucose levels in digital mode. It is embedded with additional quality of auto coding and light weight. Please do not disassemble the HGM-112. PRECAUTION: Neonates should not be tested by the device and it is for in- vitro diagnostic test only. 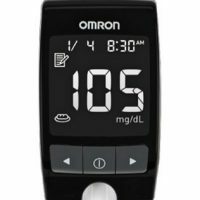 Use Only the OMRON glucose control solution with the HGM-112 meter and HGM-STP1A strips. Mark the newly opened bottle of control solution with the date opened; discard any unused control solution which is over three months after opening. Store the bottle at 4 o C~30o C (39o F~86o F) temperature. Do not refrigerate it. Shake the bottle of the control solution before you use it. Please replace new control solution if control solution deteriorates or coagulates. Do not refrigerate the test strip. The strip bottle should be stored in a dry place at room temperature. Do not transfer the test strips into other containers. Always close the container tightly immediately after taking a test strip out. Do not use strips that have expired. Check the expiration date that is printed on the package. Record the day opened on the test strip bottle label when you first open it. Discard the bottle and any remaining test strips after 90 days from the opening date. If the meter?s surface gets dirty, gently wipe with a cloth slightly dampened or use a mild detergent. For medical staff, you may use a 10% bleach, 70% alcohol (ethanol), or 10% ammonia scouring reagent. Do not clean the test strip slot. Do not put any liquid into the test strip slot or on the buttons of the meter. Do not put the meter under water or any liquid. The meter must be stored at room temperature.